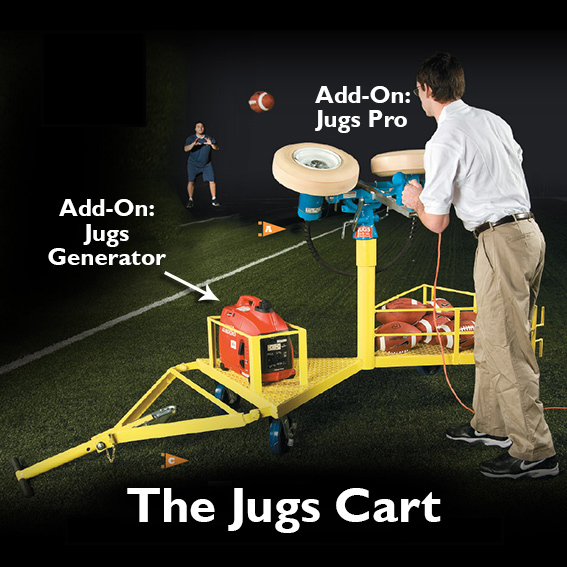 The JUGS® PRO is the deluxe model. 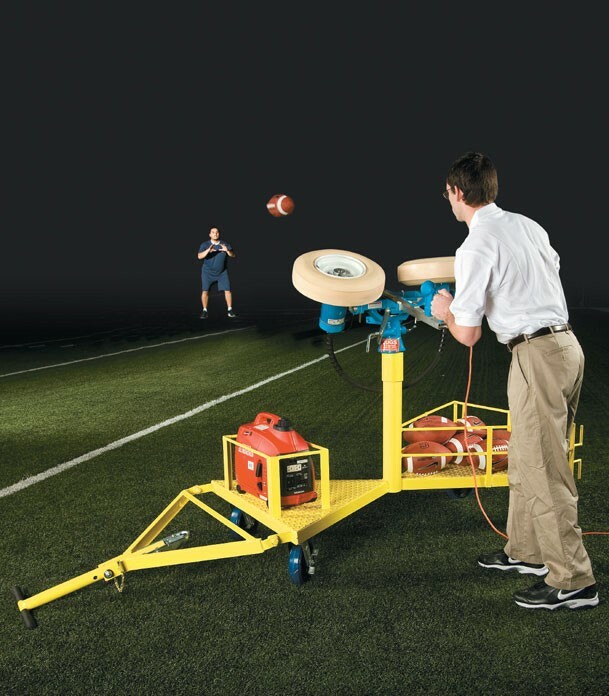 Max throwing distance is 80 yards. Delivers tight spiral punts and passes as well as end over end kicks. Includes two ball sliders, tripod legs and transport wheel.